With summer coming to an end at an almost rapid rate, I have burned myself out on vacations, music festivals and any sort of work. Having found myself with more free time than any human being should, I have found a new light to fill the void in my dwindling summer life. 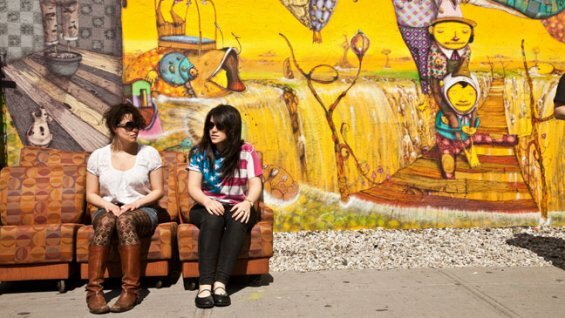 That beautiful warmth is YouTube-series-turned-Comedy-Central-darling Broad City. For those of you who don’t know, Broad City gives us a brief and comical glimpse into the daily lives of New Yorkers and twenty-something college graduates Abbi Abrams and Ilana Wexler. Now, before you write this series off as another version of Girls, let me talk (er, write) at you for a second. This show has a bit of comedy for everyone, even a male audience, despite the fact that a majority of its main cast is female. They hit all the pop culture references including bad improv shows and Law and Order. The humor ranges from physical comedy (you may have to deal with a fart or cake to the face from time to time) to in-the-moment hilarity that definitely hits home for anyone in college or about to be out of it. Ilana and Abbi manage to connect to both our party animal sides and the inner awkward adult-child in all of us. Abbi is 26, dealing with a non-existent roommate and said roommate’s overly involved homebody boyfriend and constantly on the losing battle of most social interactions. Ilana, on the other hand, is 22 and a shameless slacker who loves a good party, flying to Abbi’s rescue and dropping the occasional golden wisdom bombs. 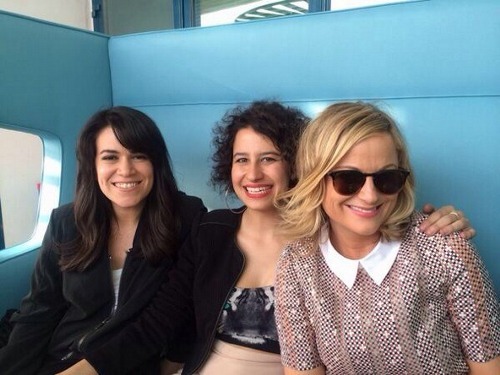 The rest of the cast is both victims of Ilana and Abbi’s antics and delivering funny comebacks to them. One of the greatest things about the show in question is its portrayal of women and how well it handles this brand of comedy. The Wall Street Journal referred to it as “Sneak Attack Feminism.” In other words, it doesn’t come out and hit you in the face with a message each episode. There is definitely a message to be heard, but a small piece of each episode is dedicated to it. It’s a series created and fronted by women that caters to pretty much everyone in some way. If that all doesn’t sound awesome enough, Amy Poehler is one of the executive producers and even appears in the first season finale. While there are only ten episodes out right now, they have already slated for a second season with another ten episodes. So, jump in! You’ve still got some time to catch up on the series, and I even recommend checking out the only couple minute long episodes on YouTube. In case you just kind of flitted through this entire blurb, here are the key points. Broad City is neck-and-neck with Workaholics for its insane and hilarious comedy and definitely trumping shows like Girls with its surprisingly witty and hidden commentary about pop culture and after college life. Give it shot. Check it out. I’ll see you back on campus where you can thank me later.